A rare optioned 1970 Ford Mustang Mach 1 – one of only three cars so-optioned from the factory – is slated to cross the auction block later this week at Mecum’s Kansas City classic-car auction. This Mach 1 is powered by a 428-cubic-inch Cobra Jet V8, with Ram Air and a 4-barrel carburetor. The resulting output is routed through a close-ratio 4-speed manual gearbox, and then back to a 3.00 Traction-Lok rear, all of which sounds like a surefire recipe for a good time. The interior is decked in black vinyl, and features a Hurst T-handle shifter. Of course, what’s on the outside counts, too. To that end, this Ford Mustang Mach 1 wears a vibrant coat of “Grabber Blue” paint and black decals, with a Ram Air scoop protruding aggressively out of the hood. 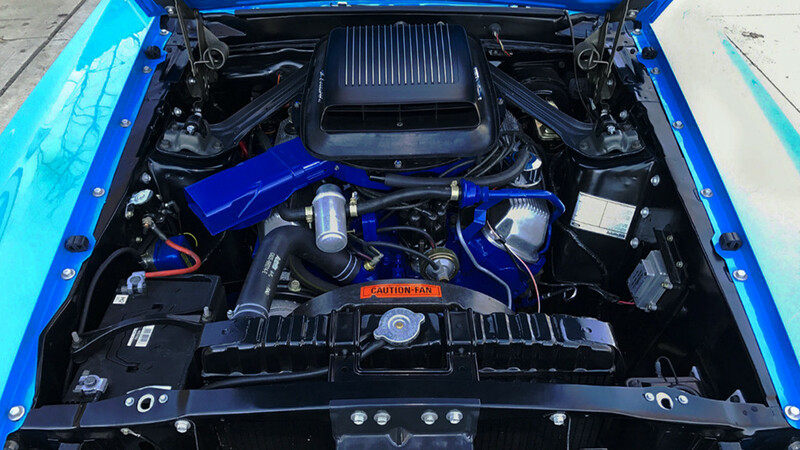 The view under the hood is the very picture of cleanliness, and most important of all, all the original “Mach 1” graphics appear to be in place. This 1970 Ford Mustang Mach 1 has covered just 45,911 miles since new, despite being old enough to avoid a military draft. For more pics and info on the car, be sure to check out the original listing on the Mecum Auctions website.